Natural treatment of sinusitis can be done holistically! 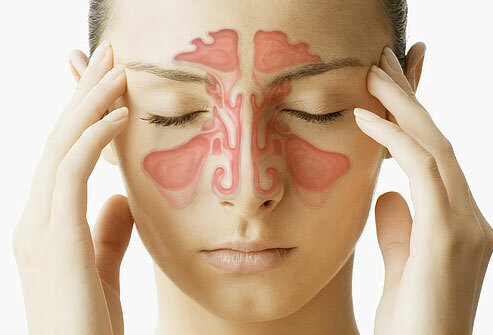 Sinusitis is inflammation of the sinuses. It occurs as the result of an infection from a virus, bacteria, or fungus. Fortunately, there is natural treatment of sinusitis with homeopathy that is fast & effective. The doctor may view the sinuses through a fiberoptic scope (called nasal endoscopy or rhinoscopy) to diagnose sinusitis. This is often done by doctors who specialize in ear, nose, and throat problems (ENTs). Self Care is also considered part of the natural treatment of sinusitis. Inhale steam 2 – 4 times per day (for example, while sitting in the bathroom with the shower running). Be careful with use of over-the-counter spray nasal decongestants. They may help at first, but using them for more than 3 – 5 days can make nasal stuffiness worse. Most sinus infections can be cured with self-care and natural treatment of sinusitis. If you are having repeated attacks, you should be checked for causes such as nasal polyps or other problems, such as allergies. Any discharge, if so, its color, smell, thickness etc.